One thing we have always done is try to travel at least a couple times a year whether it is to visit family or just to relax away from home. Because of our frequent family travel, I have noticed that it is extremely difficult to find decent luggage for the kids. Each piece we've found just seems cheaply made or too small to make it worth even dragging around. So once I discovered D and N Kids, I wanted to take my time picking out the perfect piece and reviewing it. Thankfully, each Christmas holiday we try to head down south to visit our family in Georgia. This gave us the perfect opportunity to not only pick out a new luggage set but to put it to the test. 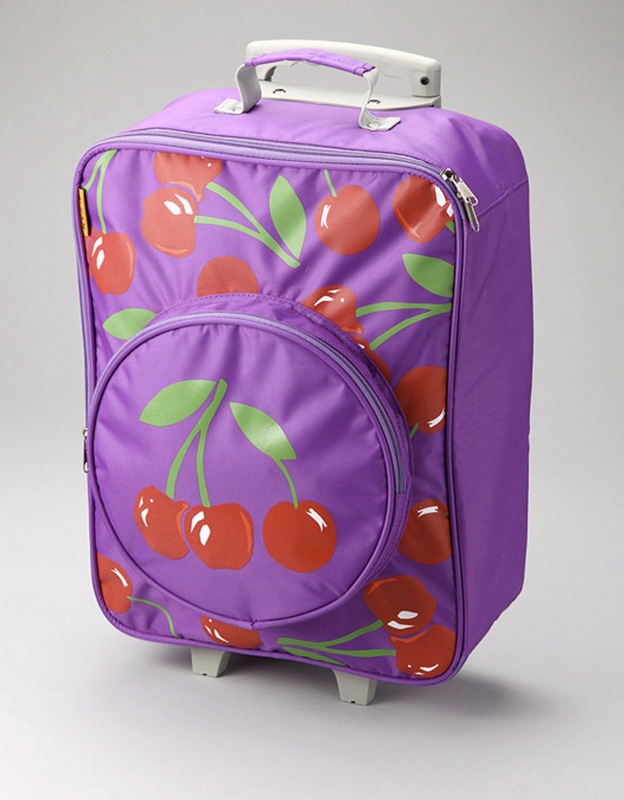 We were graciously sent over the D and N Kids Cherry rolling suitcase to review. Yes a bit girlie for the boys but it worked perfectly for Alana. 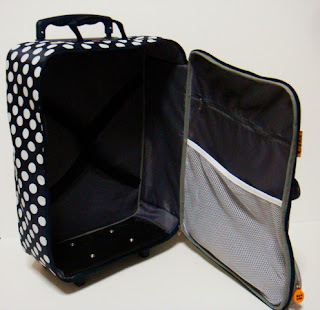 Not only is this a cute as anything pattern but because it is made of a canvas material, it seems to be a bit sturdier than your average luggage especially children's luggage at that. Plus what we like the most is that this bag is small enough to be a carry-on which makes for much easier travel. If we were to send Alana to fly alone and she is nearing her college years so this is gets to be a stronger possibility each year. We were still able to fit quite a bit for our trip and nothing on the bag was damaged from over packing or from any of the average travel wear and tear. The boys love pretending to travel and going on vacation everyday and still the bag looks almost brand new and that says a lot in my household the way they have been using it! Recommendation: I have to say I am obviously not the type of person to go out and spend $70+ on a children's piece of luggage let alone on a single piece for myself BUT this has taken a beating in the month we have had it, plus going through a road trip where it was placed in a truck bed and it is holding up quite well. This has to say a lot and maybe it is worth the extra cost. 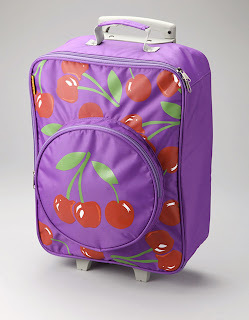 Giveaway: D and N Kids is going to give one of A Lucky Ladybug's lucky readers a rolling suitcase of their of their own! I also like the Cherry Lunch bag. I love the Zebra rolling suitcase! The zebra bag is cute! I'd love to have the Peace Giraffe backpack. i like the zebra rolling suitcase. I love the adorable sheep pillow! I like the space backpack. Oh Carter would love the Dino Rolling Suitcase! So cute! I love the flower pillow. The Sheep pillow is super cute. I like the Peace Rolling Suitcase. I love the zebra bag! The rolling zebra suitcase is so cute! the Robot Rolling Suitcase is super cute! I also like the Hippo Rolling Suitcase. I love the zebra rolling suitcase. Cute! I like The Hippo Rolling Suitcase! I like the Dino Rolling Suitcase. I'd love the Robot Rolling Luggage for my son. Thanks! My daughter would love the zebra rolling suitcase!